Current artist in residence Noy Haimovitz presents "Do not feed the goose." Noy was selected to join our residency programme from an application made in collaboration with the Bezalel Academy of Arts, Jerusalem. Over the course of his six week residency at EoE, Noy collected materials he found in the neighborhood -- dry leaves, discarded wood, a torn green net, a broken ceramic pipe. This foraging has informed his practice over the past year, as discarded tubes and a stone goose stolen from a fois gras farm in his hometown of Mishmar Ayalon, Israel became a recurrent motif in his work. Wandering around Berlin, trying to connect to a sense of heritage, Noy had new expectations of this collection process. 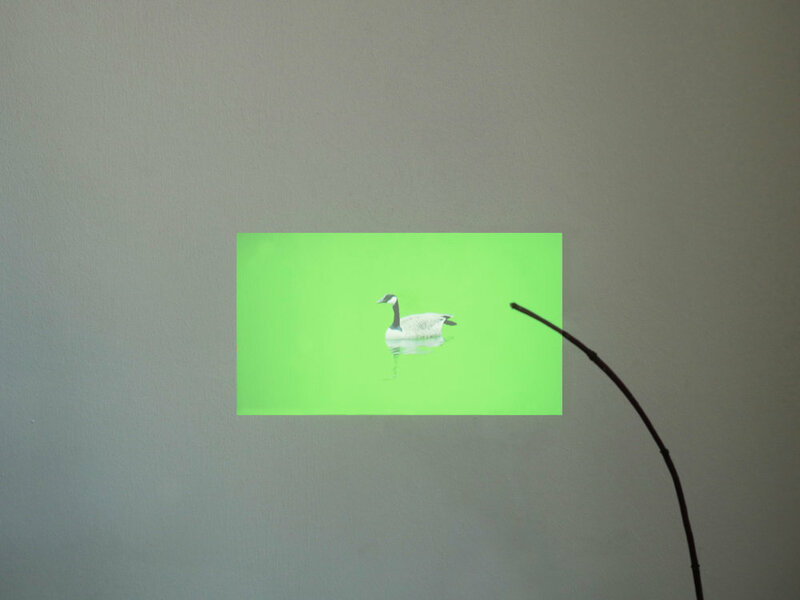 The sculptures and videowork Noy presents in "Do not feed the goose" are objects that are meant to contain things, but somehow fail. The works gestures towards a desire to be contained by a place as a frustrated search.